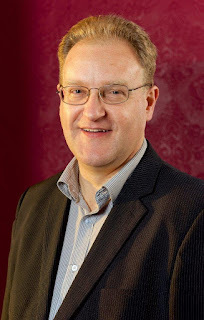 Ayrshire based genealogist Chris Paton is the author of several Scottish based research guide books, including Discover Scottish Land Records and Discover Scottish Church Records, available in North America from Global Genealogy (http://www.globalgenealogy.com/authors/paton-chris/chris-paton.htm). Chris currently carries out research in Scotland (https://scotlandsgreateststory.wordpress.com/) and writes the daily British GENES blog (http://britishgenes.blogspot.ca/). Chris will be presenting a talk on researching Scottish ancestors before 1855 when civil registration started in Scotland. Chris' talk, Pre-Civil Registration Research will begin at 9 am (EST) on Saturday, January 27th, 2018, kicking off the Scottish ViC (virtual conference).